The idea of virtual reality has been around for decades. You put on a pair of goggles, and suddenly you find yourself immersed in a computer-generated 3D world. Technology has been slow at bringing this idea to fruition, but this is an area where we can be very confident that spectacular progress will be made. There are absolutely no theoretical roadblocks to creating an extremely vivid 3D landscape that you can view with virtual reality goggles. Making virtual reality a household reality is just a matter of making more progress in visualization technology that has been progressing at a high rate of progress for decades. No doubt within twenty years, you will be able to have spectacular virtual reality experiences at a reasonable cost. But what about interacting with the 3D world you see while wearing the virtual reality goggles? It will be hard for an interface to allow seamless interactions. Someone wearing virtual reality goggles may be able to manipulate a controller with his hands, maybe something like a video controller. But this creates a kind of imperfect blend. You are using your hands (which you cannot see with the goggles on) to interact with the world you view while wearing the goggles. And what if you want to interact with the virtual world or its inhabitants in a way that the simple controller doesn't allow? For example, in the virtual world you might want to kiss a character on the cheek, but your simple controller may offer no way to do that. Another idea for interacting with a computer-generated reality is an idea advanced on the TV show Star Trek: The Next Generation: the idea of a holodeck. The idea is that you go into some special room where there are very sophisticated holographic projectors. All of the walls, the ceiling, and the floor of the holodeck are involved in the holographic projection. So after entering such a room, you might suddenly find yourself seeing just what someone would see at the Grand Canyon. You look all around, and everything looks just as it would if you were in the Grand Canyon, even at your feet. You may also interact with what looks like other people, but these too are just holographic projections. There is no need to wear any special goggles. The basic idea of a holodeck seems technically feasible, although in both Star Trek: The Next Generation and Star Trek: Voyager, the idea was stretched to what seemed like unrealistic extremes, as we would see people using the holodeck sitting on holographic chairs and lying on holographic beds. It would seem that a holographic projection would offer no such solidity. The main drawback of a holograph is that it isn't a “use around the house” kind of thing, requiring a large expensive room capable of sophisticated holographic projection. Another drawback is that a holodeck seems unsuitable for a simulation in which you are walking around for long distances, such as a simulation in which you are walking around on the streets of a city. But there's another idea for how future humans could experience something like virtual reality, an idea rarely considered. The idea is to somehow upgrade human imagination. If human imagination were somehow to be expanded far beyond its current limits, then people might have within their own minds something that would be better than virtual reality or a holodeck. Consider the human imagination. Any one of us can conjure up a “movie in our minds,” in which we can imagine anything we can please. But what we see in our mind's eye when we daydream is kind of pale, dim, and shadowy, without many details. But imagine if that “movie in our minds” could somehow become as detailed and vivid and life-like as a widescreen IMAX movie. And imagine if we could fill in endless imaginative details effortlessly. Such a thing might be possible in the future, given some imagination upgrade in the human mind that might be achieved through technology, neural implants, drugs, or genetic enhancements. After such an upgrade, you might have no need for VR goggles or a holodeck. 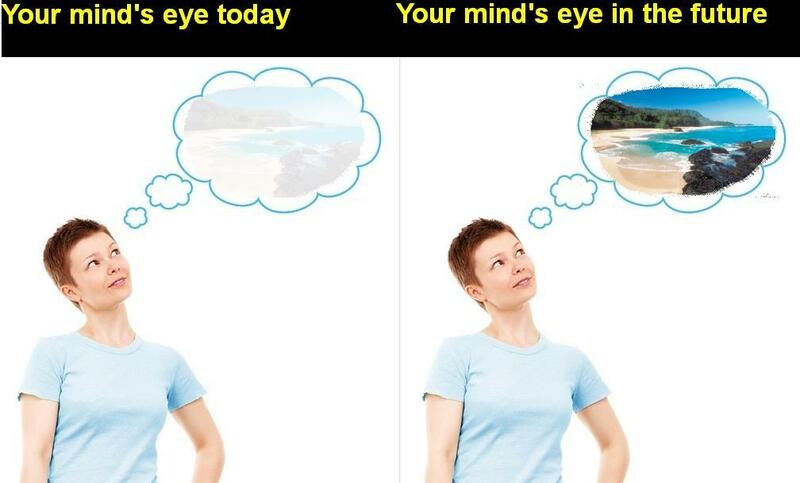 You could simply close your eyes and see in your mind's eye something that might be as vivid as virtual reality or a modern video game on a wide-screen TV. And you could shape that very-vivid reality effortlessly, just by imagining something different. In your mind's eye you could move from one city to another effortlessly, or from one planet to another planet, seeing each one as vividly as if you were watching a wide-screen movie. A hundred vivid details might flow into such scenes, flowing effortlessly from the wellsprings of your enhanced imagination. It might be dangerous to make such an imagination upgrade a permanent part of the human mind. For with such an imagination, prisons would not be such a deterrent. Every prisoner would know that from his jail cell he could have something as enjoyable as trips to a thousand Disney Worlds, just by closing his eyes and letting his imagination gush forth. 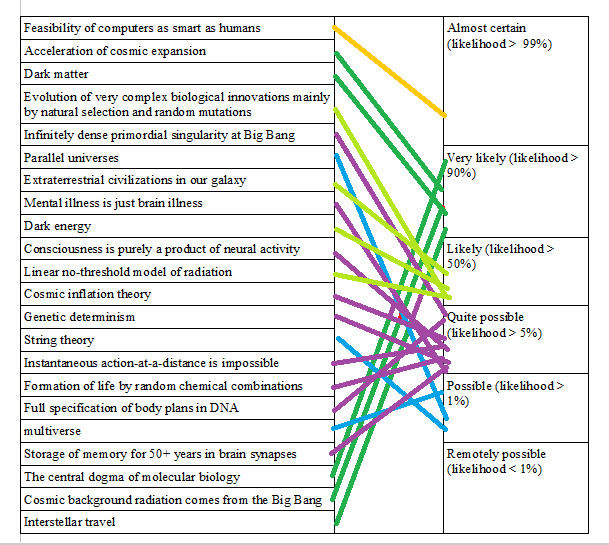 Why Don't More Scientists Use Something Like the IPCC's Probability Scale? The Intergovernmental Panel on Climate Change (IPCC) is the main scientific body that studies global warming. Although it takes some heat from the skeptical, it seems that in a broad sense the IPCC has done two things right. The first thing it has done right is to avoid making only one projection of future global warming until the year 2100. Given all the uncertainties, it would be very dogmatic to do such a thing. 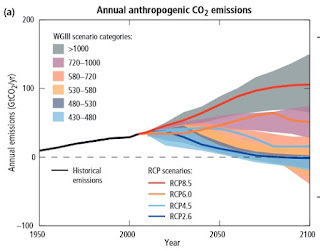 Instead of publishing only one projection, the IPCC publishes a variety of different scenarios, which have names such as RCP8.5, RCP6.0, RCP4.5, and RCP2.6. Some of them are shown in the graph below (from this document). The climate change implications of these scenarios are shown in the next IPCC graph, which uses a color-coding scheme matching the one used in the previous graph. So we see that the RCP 8.5 scenario (requiring a total carbon dioxide emission of about 6000 gigatons or more) translates into a very damaging 3.5 Centigrade increase in global warming. But the RCP2.6 scenario and the RCP 4.5 scenario (involving only about 3 or 4 gigatons of carbon dioxide emission) result in a much smaller increase of between 1.5 and 2..0 Centigrade. 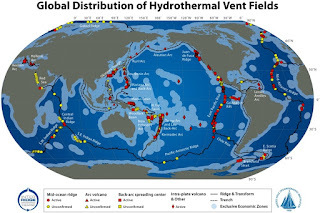 Now, you could argue that the RCP 8.5 scenario will never occur, on the grounds that we will never be extract so much carbon dioxide (6000 gigatons or more). 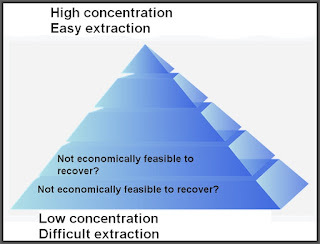 The International Energy Agency estimates that the total world reserves of coal are only about 892 billion tons, and much of that is hard-to-extract coal that may never be extracted because it is not economically feasible to extract. But given the IPCC's approach of providing widely different scenarios, such an objection does not damage its credibility. For one of its other scenarios such as RCP 2.6 or RCP 4.5 may still be valid, despite such an objection. Given its differing scenarios allowing such a variety of outcomes, we really can't fault the IPCC for being too dogmatic in this regard. These probability assessments are used in the IPCC's Fifth Assessment report. So rather than the report speaking as if it was 100% certain about everything, we are told that some things are likely, other things are very likely, and other things are as likely as not. The use of such a likelihood scale is to be commended, because there is a great deal of uncertainty in our understanding of nature. If scientists are not sure about something, it is is good that they state assertions in a shaded away, expressing only moderate confidence or low confidence. It would be good if other sciences followed such an approach. 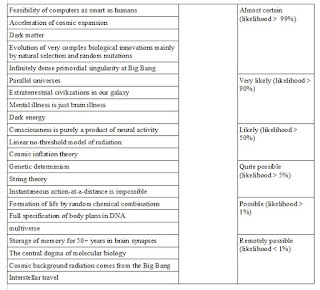 But do we find such a likelihood scale used in fields such as biology, physics, neuroscience or cosmology? No, we do not. The general tendency in contemporary science is to follow a very different approach. It is as if there were two big lists: the list of approved doctrines, and the list of disapproved doctrines. All of the items on the list of approved doctrines are pretty much taught as if they were gospel truths. This is not too different from the way that the Catholic Church teaches religious doctrines. 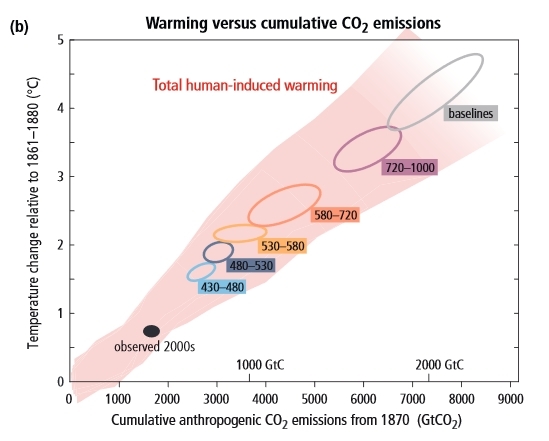 But what if a different approach was taken, an approach using a probability scale, like the IPCC is using? The results would be salutary. There would no more be a situation in which doctrines could endlessly “rest on their laurels.” Each scientific teaching would have to be graded on a probability scale. If such a probability scale was used honestly, it would soon become apparent that some of the theories that have chewed up the most research funding have a not-very-high ranking on the probability scale. It would be best to make use of a probability scale rather different from the one used by the IPCC. The scale below would be better suited for grading a wide variety of scientific assertions. I can imagine a two-phase exercise to make use of such a scale. In the first phase, you begin with a chart like the one below. You draw colored lines between the items on the left and the items on the right, using a different color of ink for each level of confidence. 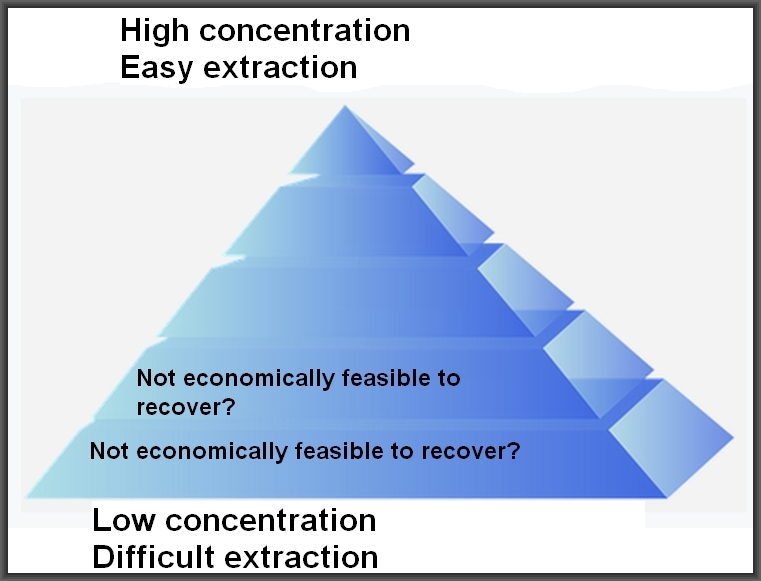 In the second phase of the exercise, you would be required to justify each case in which you had specified that one of the items on the left had a probability of “quite possible” or higher. This would require actually presenting observations or experiments that show there is a basis for concluding a likelihood of at least 5%. Appeals to current popularity or a consensus of agreement would not be allowed. 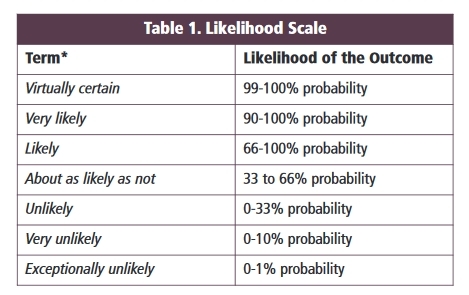 Using such a likelihood scale sounds like a great idea, so why is such a scale not used in fields such as cosmology, physics, and biology? I suspect the reason is that using such a scale would involve introducing a level of humility that today's dogmatic theoretician would prefer to avoid. Consider the dogmatic scientific theorist. 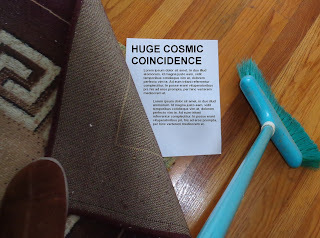 He may advance some theory unlikely to be true. But he would rather that people not judge his theory based on some scale in which it is judged whether the theory is “quite possible,” “likely” or “very likely.” Because then it might become clear that there is no basis for concluding that the theory is probably true. Such a theorist would prefer the current approach, in which it is as if there is a “list of approved doctrines,” and you are supposed to accept all the items on the list. Having got his theory on such a list (often because of sociological considerations), such a theorist would not want there to be a system in which scientists use varying shades of confidence in their assertions. 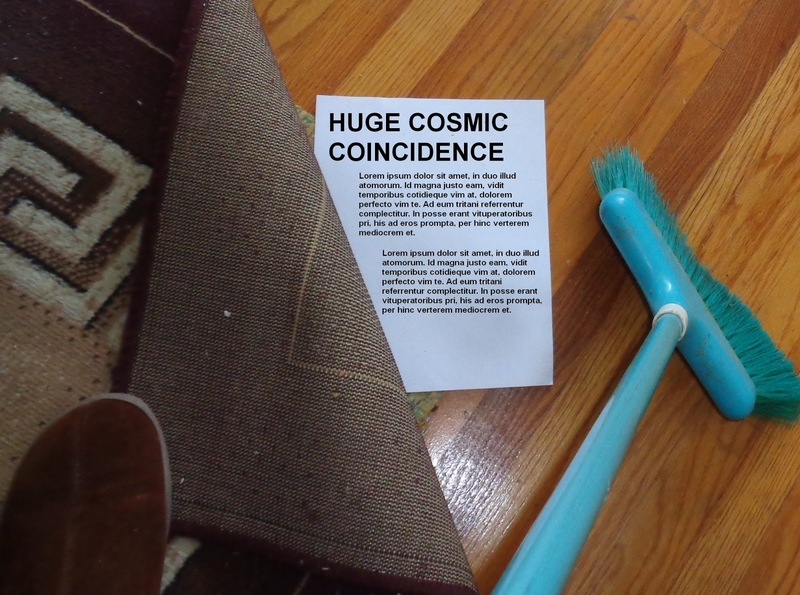 It might then become apparent to all that the theorist's pet theory is not on very firm ground. Similarly, an apologist for an organized religion would never want you to make use of some exercise like the one above, in which you drew lines specifying whether 15 assertions of his creed were “possible,” “quite possible,” “likely,” “very likely,” or “almost certain.” He would instead want you to accept the whole creed with complete confidence, regarding every item in it as a certainty. Like such a theological apologist, the modern pitchman for the "official party line" of modern science would rather that you not use probability scale ratings that might make his "standard story" look like something that is largely speculative, largely a kind of social construct in which many a predominant theory is more of a speech custom than something that has been established as a likelihood. Susan Tyler never thought she would see her young brother George again when she said a tearful goodbye to him on the day before the interstellar mission left. It was the first manned mission to another star, on the mighty interstellar spaceship named Starbird. The 120 crew members had been trained to establish a colony on one of the planets revolving around Alpha Centauri, several light-years away. 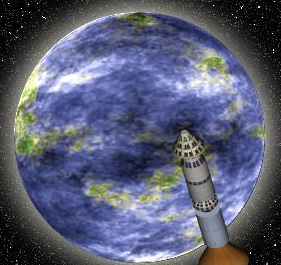 Using the latest antimatter drive technology, the spaceship traveled at about one-third of the speed of light. It took 13 years for the ship to reach Alpha Centauri. The ship beamed a radio message saying that an apparently habitable planet had been detected. The nations of Earth were thrilled by the announcement. But then there was a long radio silence. People asked: had something terrible happened? 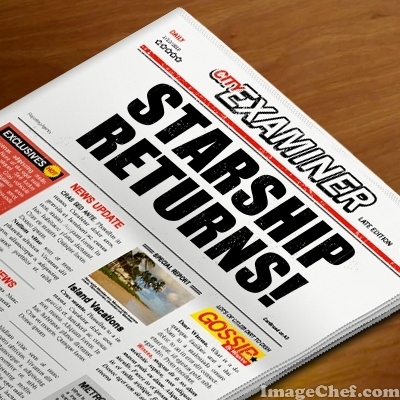 For weeks, everyone would check the news day after day, waiting for a new radio signal from the spaceship. But no signal was received. The weeks turned into months, which turned into years. Eventually the public reached the sad conclusion that something terrible had gone wrong, and that no signal would ever be picked up from the doomed mission. Susan Tyler reconciled herself to the idea that her brother George must be dead. What happened thirteen years later was almost as shocking as the sudden radio silence from Alpha Centauri. Astronomers detected a spaceship entering the solar system. At first people thought it might be some extraterrestrial spaceship. But before long, astronomers announced something shocking: the spaceship was Starbird, the very spaceship that had left for Alpha Centauri 26 years ago. The ship's crew docked at a space station, and then returned to Earth. The ship's captain gave a press conference announcing what had happened. The story seemed strange, and raised eyebrows around the world. But most people accepted it. Susan Tyler welcomed George back to the town where she and her parents lived, and she thought: this is so strange, I never thought I'd see him again. She was not surprised that George looked 26 years older. But she was surprised by his cold, humorless demeanor. She remembered her brother as a very warm and funny person. “What are you going to do now?” asked Susan. “I'm going to do what quite a few of my fellow astronauts are going to do,” said George. “I'm going to run for President.” He explained that quite a few of his astronauts had developed political ambitions on the long trip home from Alpha Centauri. A German was going to run to become president of the European Union. A Russian was going to run to become president of Russia. A Chinese astronaut was going to run to become the president of China, which had become a democracy 30 years ago. Over the next few weeks, Susan began to develop suspicions about George. Although he seemed to think very fast, he seemed to have a very different personality than the George she remembered. Funny warm George had somehow turned into cold, humorless George. He also seemed to have no memory of the childhood they had shared. He would also never eat any food when he was at a family gathering, and would never drink anything. Susan discussed her suspicions with her mother, her father, and her sister Betty. They all agreed that George somehow wasn't the George they knew. The family began asking George questions he couldn't answer. Their suspicions were also raised by the fact that George lived in a house in which the windows were always covered up. George would never invite any other family members over. Susan's suspicions about George began to eat away at her. One day she decided to wait until George opened his door, and then barge into his house. She would look around before George had a chance to throw her out. Susan did just that. She hid behind a bush near George's door. When he opened the door, Susan rushed in. “I'll be out in just a second,” said Susan, running around. She went down to the basement. She let out a scream when she saw what was in the basement. In the basement were four tables. On the tables were what looked like the bodies of her father, her mother, and her sister. “What are you talking about?” said Susan, horrified. “So who are you?” asked Susan. “So what are these bodies on the tables?” asked Susan. George went over to a table that had a blanket over it. “Do you want to see the latest robot I created?” asked George. George removed the blanket. It was a naked robot looking just like Susan. George flicked a remote control unit, and the robot stood up. Susan screamed, and began to run up the basement stairs. George grabbed her by the throat. I'm doomed, thought Susan. But just then police officers broke open the front door. Armed with machine guns, they stormed into the house, and quickly found Susan and George, who were both arrested. Susan told the whole story to the police. No one would have believed her wild story, were it not for the fact that the robots were still lying on the tables on the basement. 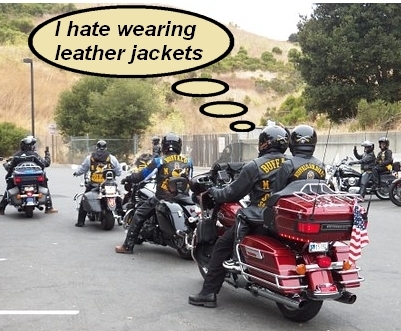 Faced with the undeniable evidence against him, robot George finally confessed. “How did you ever find out enough to come to my house?” asked George. One of the most powerful argumentative techniques in favor of some truth claim is to assert that there is some consensus of opinion among scientists that the claim is correct. But often such assertions are unwarranted. Quite a few of the times that people claim that there is a scientific consensus on something, there is no actual majority of scientists who assert such a thing. Below are six reasons for thinking that quite a few claims of scientific consensus are exaggerated, and are not matched by an actual majority opinion of scientists on the matter in question. Let's imagine that there's some theory that is starting to get traction in the scientific community. Imagine you are some advocate for the theory, trying to get even more people to accept it. What is your easiest route to such a goal? It is to claim that there is a scientific consensus in support of this theory you support. Many people will meekly fall into line and accept your theory, as soon as they hear a claim that most scientists have accepted the theory. The temptation to claim “most scientists believe this” is so great that people often make such claims even when no such consensus has been reached. The great majority of statements claiming a scientific consensus on something offer no evidence to back up for such a claim. For every time that someone claims that most scientists agree on something, and tries to back up such a claim by referring to some opinion poll or study of scientific opinion, there must be ten or twenty times that someone claims that most scientists agree on something without offering any evidence to back up the claim. Given the fact that people are often claiming that most scientists think such-and-such a thing, it is rather surprising to consider that there typically exists no systematic process for having scientists state their opinions on whether particular theories are true. In the world of science, there is nothing equivalent to the voting booth. For example, scientists are not sent annual questionnaires in which they are asked to rate the likely truth of different theories on a scale of 1 to 10, with 10 being certainty about a particular theory. So when people claim that most scientists believe this or most scientists believe that, and try to back up their claims with some evidence, they may refer to opinion polls or a survey of the scientific literature. These are very imperfect measures of opinion, for reasons discussed below. In November of 2016 there was a startling result in the American presidential election. Donald Trump won a victory in the electoral college, despite losing the popular vote by millions. This was despite both late election polls showing him losing by a substantial margin, and also Election Day exit polls showing him losing in some of the key states he won. A reasonable idea to explain this is the idea of self-censorship. This is the idea that when people hold opinions that differ from perceived norms, they often never publicly state such opinions, and will only express them in something like a secret ballot. It may be that a significant percentage of voters planned to vote for Trump, but told pollsters otherwise, as they regarded their support of Trump as something that conflicted with perceived norms. We have no idea how much self-censorship plays a role in scientific opinion. Many a scientist may disagree with theories that are supposedly supported by a majority of scientists. Such scientists may engage in self-censorship, figuring that it is not a good career move to speak in opposition to some theory that many other scientists are supporting. This makes it harder to determine just what the majority of scientific opinion really is. Since scientists have no formal process for voting on the truth of theories, some people have attempted to use studies of scientific papers to draw conclusions about a scientific consensus on some topic. Such attempts can be problematic. An example of an analysis of scientific papers that offers limited insight is this study, which has been widely although inaccurately summarized as reporting a 97% consensus about anthropogenic global warming. It is probably correct that a majority of scientists do believe that mankind is the main cause of global warming, although the study does not back up the claim of 97% consensus. For one thing, the study was based only on abstracts, those short summaries that appear at the top of a scientific paper. Secondly the study actually reported that 66% of the abstracts reported no opinion about man-made global warming. The 97% figure was from a second phase that sent a questionnaire to those who had already stated an opinion in their abstract about whether humans cause global warming. Of those people, only 14% responded; and of those 14%, 97% supported anthropogenic global warming either explicitly or in a weaker implicit sense. It is not correct to extrapolate from such a fraction of a fraction and make the same 97% claim about the scientific community in general, particularly given the dubious business of getting that 97% by lumping together explicit endorsements of anthropogenic global warming and merely implicit endorsements that may be more nuanced and ambiguous. Page 15 of this Pew poll of scientists indicates that only 89% of them agreed that earth is warming mostly due to human activity, and that only 77% of them agreed that global warming is a very serious problem. This suggests a consensus about this topic much less than the 97% figure cited (I agree with the 89% on this topic). It would also be extremely problematic for someone to draw conclusions about a scientific consensus based on an analysis of scientific papers on topics such as cosmic inflation or string theory. Let us consider a physicist who has become familiar with the arcane speculative mathematics of string theory or cosmic inflation theory. Such a physicist learns that he can make a comfortable living grinding out speculative papers offering yet another twist on these theories. But suppose this scientist publishes five papers on such a topic. Does it mean he actually believes the theory is likely to be true? We cannot tell. It could be that the physicist is simply interested in the mathematics, and finds that he can fulfill his yearly quota of scientific papers by writing on the topic. Such a thing does not tell us whether the scientist believes such theories to be true. Pros in the political field know that the way questions are worded can have gigantic effects on the results. For example, if a question asking about support for abortion is worded from a pro-choice perspective, it will get some answer suggesting a very high support for allowing abortion. The same question worded from a “protect the unborn child” perspective may show a vastly different level of support for allowing abortion. The same principle holds true in regard to polls of scientists about scientific theories. For example, a Pew opinion poll asked a question of scientists that seemed designed to produce the highest level of response: a question asked whether they agree that “humans and other living things have evolved over time.” That got a 98% yes response. But “evolved over time” could mean small-scale stuff, what is known as microevolution. A scientist believing in small-scale evolution may answer “Yes” to such a question, even though he doesn't believe in the origin of species from more primitive species, or does not believe that such a thing is mainly caused by natural selection. 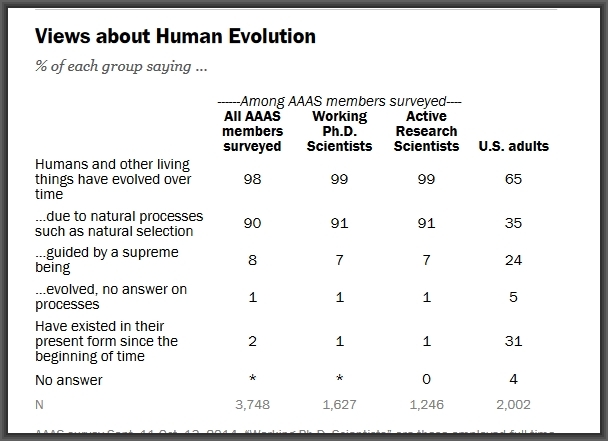 Very absurdly, the Pew poll question gave respondents a choice between asserting that "Humans and other living things have evolved over time" and "Have existed in their present form since the beginning of time." 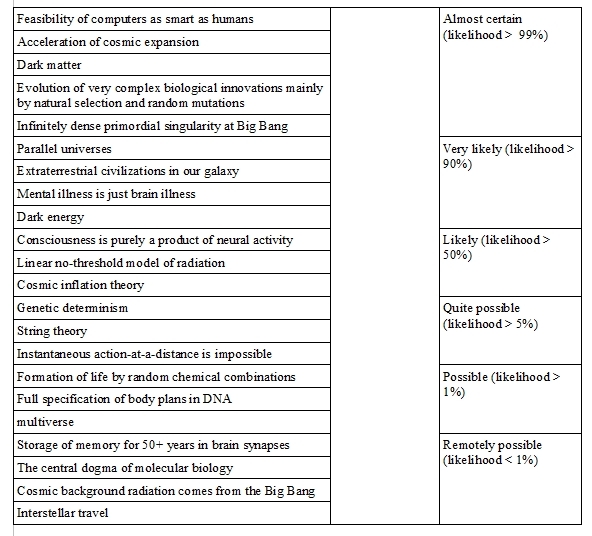 Such a choice forces anyone believing in a 13-billion-year-old universe to choose the first answer, since there is no option such as "Humans originated for unknown reasons about 100,000 years ago, long after the Big Bang." This is a classic pollster's goof: make it seem like almost everyone believes in choice A by offering a choice between choice A and some choice B that almost no one would accept. Is it true that humans have evolved from ape-like ancestors? Is it true that humans have evolved from ape-like ancestors mainly because of Darwinian natural selection? It is interesting that despite constant indoctrination to the contrary, nearly two-thirds of the public reject the claim that humans have evolved over time due to natural processes such as natural selection. It is also interesting here that about 10% of scientists do not believe that evolution occurs mainly because of natural processes such as natural selection. The survey was made only of American Association for the Advancement of Science members, a subset of scientists more likely to be "old guard" thinkers conforming to ideological orthodoxy. A full survey of scientists might have yielded a number greater than 10% doubting the "party line" on this topic. Here we also have a case where there is a large chance of significant self-censorship, as the prevailing academic culture declares deviation from Darwinian orthodoxy as a taboo. The actual percentage of scientists rejecting the Darwinian explanation may be much higher than the 10% indicated in this survey, and could easily be as high as 15% or 20%. The people who responded to the Pew survey were people who responded after being mailed a letter with the AAAS masthead, signed by the head of the AAAS. That must have maximized the peer-pressure "fall in line with the majority" effect. A secret ballot without such a "Big Brother is watching" effect might have produced a very different result. But the poll still doesn't tell whether there is any consensus about natural selection as an explanation for evolution. The poll asks about “natural processes such as natural selection,” but does not tell us what percentage of scientists are satisfied with the "prevailing party line" claim that natural selection and random mutations can explain the mountainous amounts of biological complexity we observe. Is that percentage 70%? 60%? Or less than 50%? We don't know. Although we sometimes hear claims that almost all scientists believe the idea that Darwinian natural selection explains the origin of species and biological complexity, we don't have polls backing up such a claim. We don't know whether this supposed overwhelming majority is even a 50% majority. What about fields such as neuroscience? Is it really true that an overwhelming majority of neuroscientists believe that the mind is purely a product of the brain? We don't know, because there is no institutional scientific process for voting on such a thing. When it is claimed that there is a scientific consensus on something, the consensus is often much weaker than is claimed, with a substantial minority rejecting the majority opinion. Although some claims of a scientific consensus are warranted, it is often claimed that most scientists agree on some topic, when there is actually no clear evidence that such a majority of opinion exists. Consider also this confusing fact: you may be inclined to believe something if you hear "there is an overwhelming scientific consensus in favor of this," but you may well suspend judgment about such a thing if you hear that "a substantial minority of scientists disagree with the claim." But both phrases can be used to describe a situation where 90 percent of scientists accept some doctrine, and 10 percent of scientists disagree with that doctrine.